We Fell in Love with Young People’s Theatre | Kids in T.O. I finally felt like my kids were ‘of age’ to take them to Toronto’s Young People’s Theatre. Why did I wait this long? Our first-time YPT experience was Goodnight Moon by the Seattle Children’s Theatre. This classic story comes alive (now until end of March Break). 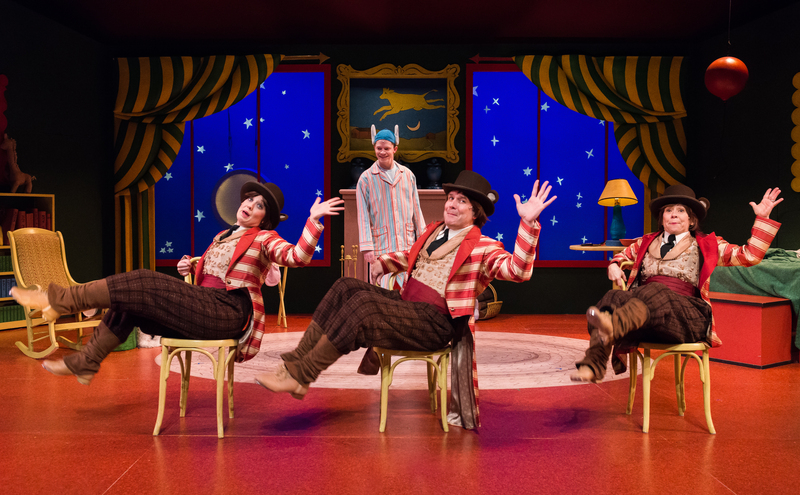 Literally, the bedroom, the characters and the well-known rhymes jump from book to stage. It is so magical. But it wasn’t just the performance that blew us away, it was the whole theatre experience. This is why we fell in love with Young People’s Theatre. 1) Kid-sized theatre. There is no makeshift stage or fluffy pillows. It looks like a traditional theatre but is much more intimate than a mainstream venue. No matter where your family is sitting, the stage is front and centre. Here is a behind-the-scenes look. 3) High-quality theatre. There is something so magical about live performance and you can really expect the best here. The YPT has been at it for 50 years. 4) Accessible theatre. Each presentation has one performance specifically designed for young people with Autism Spectrum Disorder. We attended one of these “Relaxed Performances” and it was an excellent introductory experience for my youngest first-time theatre-goer. YPT has this great video to show kids what to expect. First Saturdays and Pay-What- You-Can (PWYC) performances this season. Low-down: Tickets range from $13-$45 for adults and $13-$40 for kids and seniors (depending on production and show time.) Children under one don’t need a ticket but are required to sit on caregiver’s lap. Doors generally open 30 minutes prior. Limited number of booster seats available. Here is the seating map. Stroller-friendly – strollers are not allowed in auditorium but can be left in main floor lobby. They do birthday parties. And have a drama school. Snacks: No food, drink, candy and gum in the theatre, except bottled water. In the hood: In walking distance: David Crombie Park, Distillery District, St. Lawrence Market, Sugar Beach and Sherbourne Common and Distillery District.